Snout-vent length: To 95 mm. Distribution: Confined to the Sydney Sandstones, New South Wales. 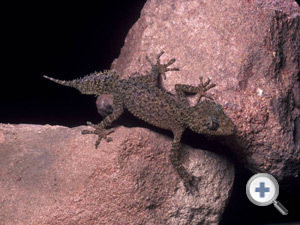 This is the first described and best known species of leaf-tailed gecko having occupied the homes and gardens of Sydney residents since the time of first European settlement.